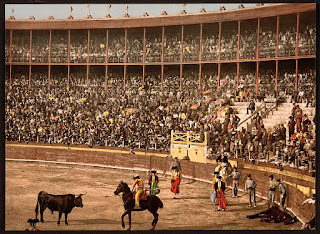 Colección de fotografía antigua: Photochrom Prints . Library of Congress. Imágenes del Pais Vasco-Fuenterrrabía y San Sebastián y Barcelona. 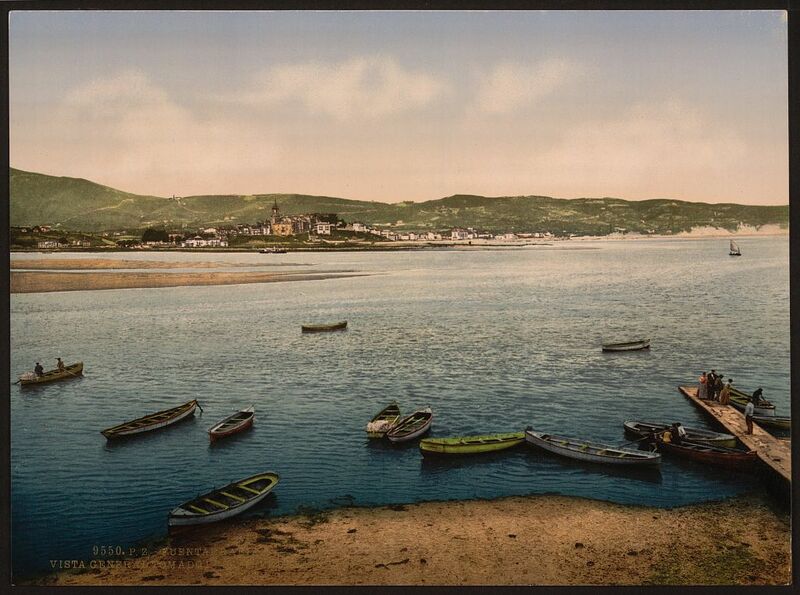 Photochrom Prints . Library of Congress. Imágenes del Pais Vasco-Fuenterrrabía y San Sebastián y Barcelona. 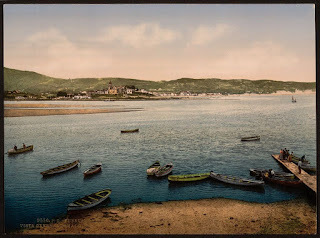 Photochrom Prints . Library of Congress. Contains almost 6,000 views of Europe and the Middle East and 500 views of North America. Published primarily from the 1890s to 1910s, these prints were created by the Photoglob Company in Zürich, Switzerland, and the Detroit Publishing Company in Michigan. The richly colored images look like photographs but are actually ink-based photolithographs, usually 6.5 x 9 inches. 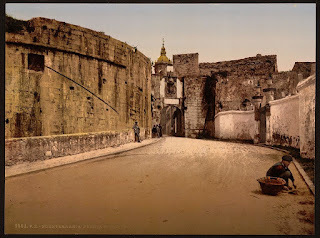 Like postcards, the photochroms feature subjects that appeal to travelers, including landscapes, architecture, street scenes, and daily life and culture. The prints were sold as souvenirs and often collected in albums or framed for display. Photochrom prints, also called Aäc, are ink-based images produced through "the direct photographic transfer of an original negative onto litho and chromographic printing plates." Hans Jakob Schmid (1856-1924), who worked for the Swiss firm Orell Füssli, invented the technique in the 1880s. 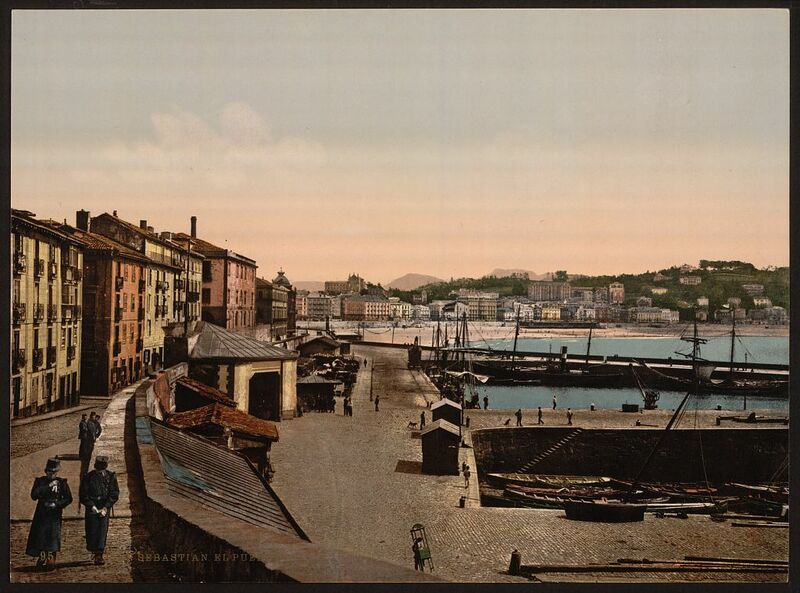 Füssli published the prints through a company with the imprint Photochrom Zürich, later Photoglob Zürich. Other companies that licensed the process starting in the mid 1890s included the Detroit Photographic Company (later Detroit Publishing Company) in the United States and the Photochrom Company in London, England. This photochrom process is not the same as the French color process called "photochrome." 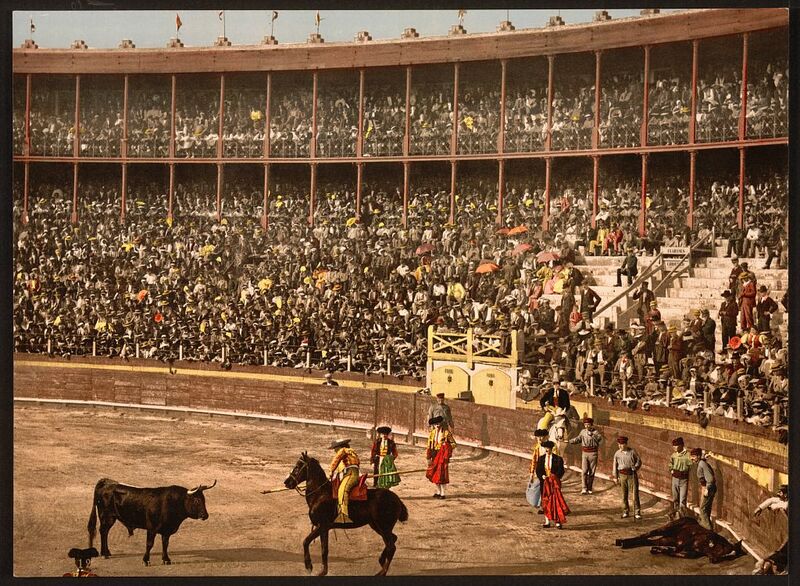 Impresiones De Photochrom. Biblioteca del Congreso.